We believe it is very important that users are able to control their data. So in the over-the-air update for Nexus S, we have a small change to how Facebook contacts appear on the device. For Nexus S users who downloaded the Facebook app from Android Market, Facebook contacts will no longer appear to be integrated with the Android Contacts app. Since Facebook contacts cannot be exported from the device, the appearance of integration created a false sense of data portability. Facebook contact data will continue to appear within the Facebook app. Like all developers on Android, Facebook is free to use the Android contacts API to truly integrate contacts on the device, which would allow users to have more control over their data. 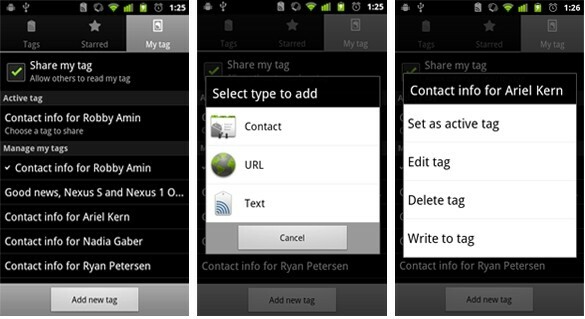 We are removing the special-case handling of Facebook contacts on Nexus S and future lead devices. We continue to believe that reciprocity (the expectation that if information can be imported into a service it should be able to be exported) is an important step toward creating a world of true data liberation -- and encourage other websites and app developers to allow users to export their contacts as well.